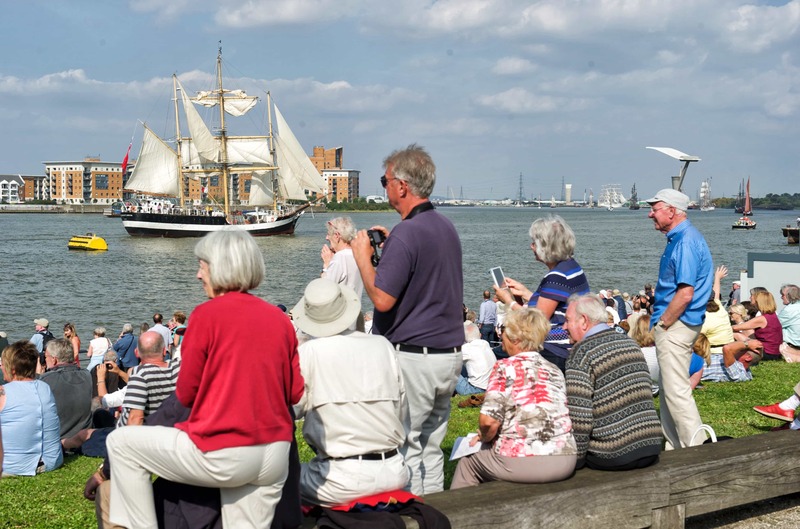 As the Tall Ships arrive, there'll be street and stage entertainment across the Woolwich festival site throughout the day. There will be a children's treasure hunt for pirate Tall Ships in the Heritage Centre's galleries from noon to 8pm, face painting in Lantern Cafe on Woolwich High Street and children's entertainment at Urban Ice (Woolwich New Road). At 7.45pm, Glenn Tilbrook, the legendary Woolwich-born Squeeze frontman, will be making a special appearance at the Fentimans Festival Stage, performing some of the rock band's greatest hits along with his solo material. A spectacular show of light, sound and water will get the party going from 8.30pm in Woolwich Arsenal. Avanti Display performs this outdoor water show, called Hydromania. Live music entertainment at the Greenwich festival site will include folk music and sea shanties. There'll be a choir performance incorporating music from a variety of countries to highlight musical voyage and discovery. Taking place at the Main Stage, this is a collaboration of local groups: Royal Greenwich Schools Choir, Blackheath Halls and English Folk Dance and Song Society. Watch it at the Main Stage in Cutty Sark Gardens at 1.30pm. In the San Miguel restaurant, flamenco dancers and a guitarist will perform during the evening, 6.30pm to 7pm and 7.30pm to 8pm. The Seal and the Perky Pirate.